QBO Blankets are outdoor sound barrier panels used to combat outdoor stationary noise sources and protect nearby neighbors from excessive decibel level exposure. 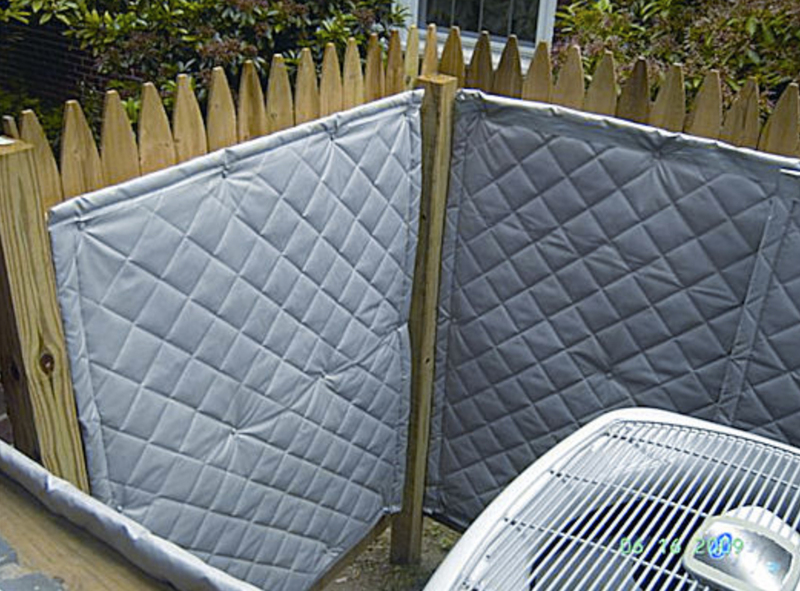 These sound blocking barriers are custom cut blankets up to 25′ tall, grommeted across the top, velcroed down the edges, and can reduce up to 90% of the noise that attempts to bleed through the neighbors you seek to protect. This is the only product at NetWell designed to take the weather elements, and combat directional noise. For non-weatherproof solutions be sure to check out our full line of sound blankets. 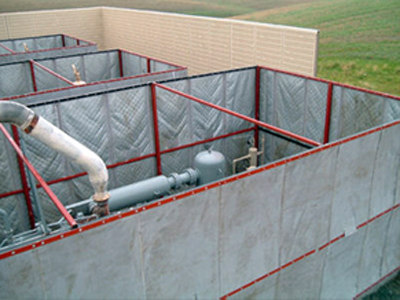 For stationary noise sources outside, including generators, pumps, air conditioners, pool pumps, compressors, construction sites, outdoor kennel runs and more, these outdoor sound barrier blankets are the perfect solution to unwanted noise. 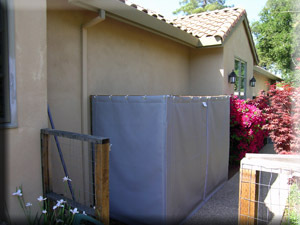 The QBO Blankets hold up in the weather and combat the bleed of noise to residential neighbors. They are custom cut to match the cavity size of a frame or fencing system surrounding your noise source, and are easy to attach / detach for ease in maintenance. QBO Blankets are custom cut to the cavity size you need. The table rates shown here reflect standard blanket dimensions only. Custom sizes are available and will average up to the nearest blanket size/price. For questions related to your custom quote, contact our help desk at 1-800-638-9355. We host a variety of soundproofing projects in our Case Studies Library. Be sure to check those out for any ideas that may align with your upcoming soundproofing project. You will need structure built around your stationary outdoor noise source. This could be fencing, framing, or maybe you have existing walls of some sort already built around your noise source. Simply feed us those dimensions, and we will cut a corresponding set of QBO Blankets to match. The blankets will affix via the grommets we place across the top of each section. Edges are interconnected with the velcro sewn into them. The blankets are weighted at 1.5# per square foot. QBO Blankets will drop ship to your doorstep, custom sized per your request, and ready to affix to your perimeter structure to combat noise. 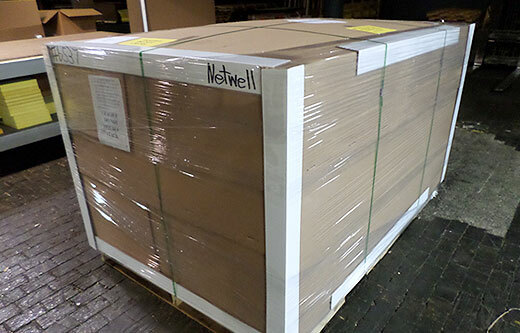 The blankets typically ship boxed on pallets by common carrier. Be sure to inspect your delivery for any possible damage in transit.